CASABLANCA, Morocco — Morocco has banned the burqa, the full-body veil worn by some conservative Muslim women, according to local media reports. Although the government did not confirm the ban, the reports said vendors and merchants had been notified on Monday by representatives of the Interior Ministry that they would no longer be allowed to sell or manufacture the religious garment because of security concerns. They said they were given a 48-hour deadline, but it was unclear when the rule would take effect. 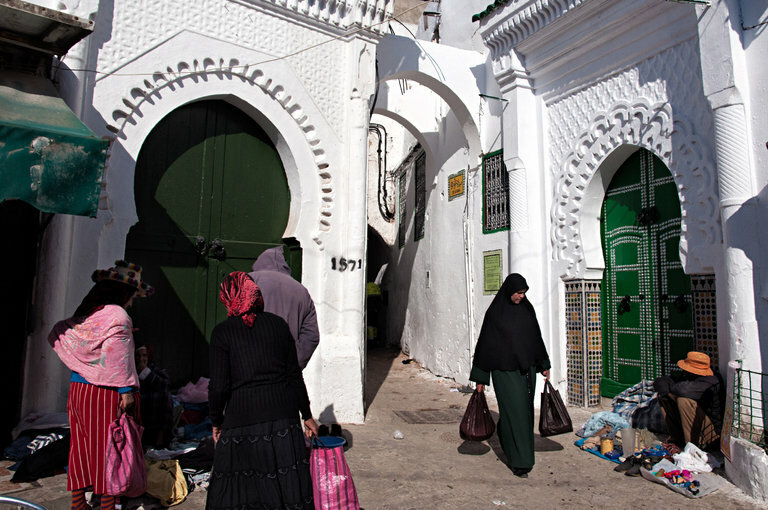 Morocco, a majority-Muslim country and former French protectorate where the influence of Western secularist ideals remains, has been trying to foster more moderate expressions of Islam and subtly warn Islamists not to go too far, though acts of extremism remain rare. The government of King Mohammed VI may have conceived the ban as a gesture to get that point across. Relatively few Moroccan women wear the burqa, which is much more common in conservative Muslim societies like Afghanistan and Pakistan, but many do wear traditional dresses and head scarves. In any case, by targeting people who sell and produce the burqas, there is less risk of a public outcry, like the one in France last summer after the government banned the burkini, a full-body swimsuit favored by some Muslim women. Le360, a news site close to the Moroccan Interior Ministry, quoted an unidentified ministry official who confirmed the ban on the sale of the garment, which is often blue and covers the head. The official did not confirm whether the ban would be extended to wearing the burqa. The Interior Ministry did not respond to requests for comment. It also has not yet published an official statement on the specifics of the ban, and it is unclear what kind of religious full-body veils have been specifically targeted. Morocco’s official religious authorities have not taken a position on the issue. Hammad Kabbadj, a conservative preacher and member of the Justice and Development Party who was not allowed to run in last fall’s legislative elections in which his party prevailed because he was deemed too “extremist,” denounced the ban on Facebook. He said he thought the ban was meant to create tensions that would ultimately hurt his party, which has been trying unsuccessfully to form a coalition government since October. The ban has spurred a fierce debate between Moroccans who see the move as repressing the religious freedom of women and those who applaud it as a liberation for women. Stephanie Willman Bordat, a founding partner at Mobilizing for Rights Associates, a Morocco-based nongovernmental organization, said many Moroccans saw the burqa as a neocolonial import from the Gulf states. Farah Chérif D’Ouezzan, the founder of the Center for Cross Cultural Learning in Rabat and an expert in comparative religion with a focus on women and Islam, said that there was a great deal of confusion and that a confirmed ban would be difficult to implement.